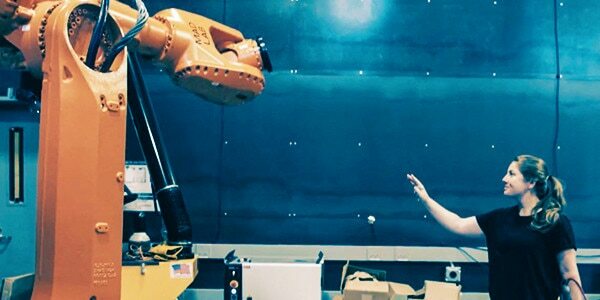 Discover how the collaboration between humans and robots is making a big impact on the manufacturing, architecture, and construction industries. In the not-too-distant future, robots and humans will work side by side to accomplish things neither could achieve on their own. Maurice Conti, director of Applied Research and Innovation at Autodesk, gives his perspective on the future of robotics. Port of Rotterdam’s RAMLAB and Autodesk collaborate to pioneer on-demand additive manufacturing for ship repair. 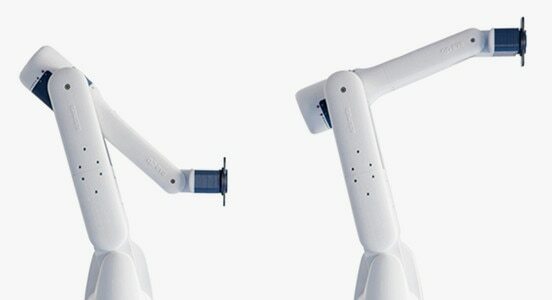 Mimus is an industrial robot that has no preplanned movements. Instead, it is programmed with the freedom to explore and roam about its enclosure. 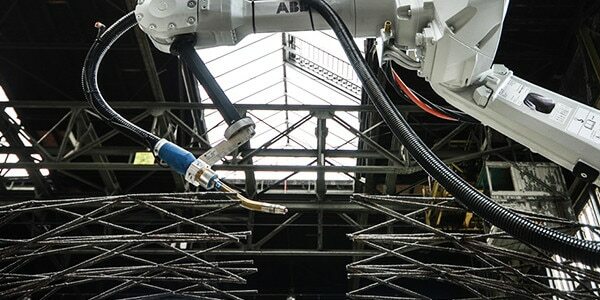 Dutch 3D-printing technology firm MX3D is 3D printing a fully functional, intricate steel bridge over water in Amsterdam using industrial multi-axis robots. 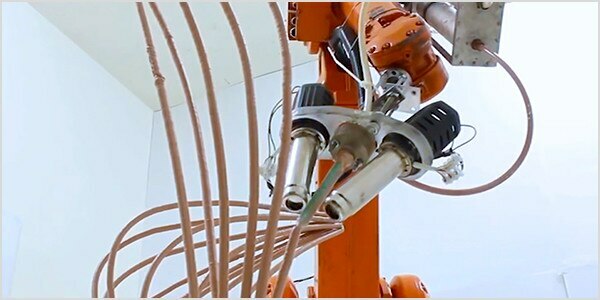 CNC milling, robotic fabrication, and traditional hand-carving workflows were used to build the limestone base of the Generative Design Pavilion. By connecting cloud design and robotic additive manufacturing, Sicilian boat builders Livrea have made huge strides in building the first 3D-printed yacht. 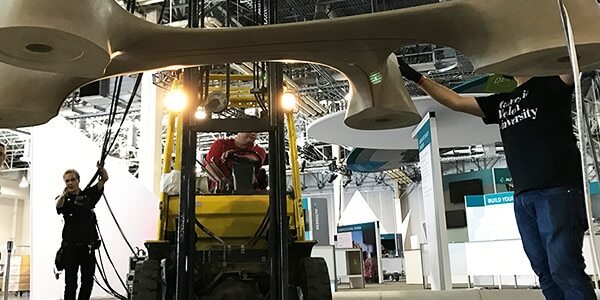 The company has successfully 3D printed the yacht’s hull using advanced, multimaterial, polymer composites. 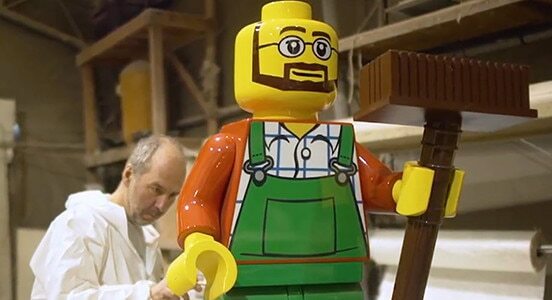 The creative team at Merlin Magic Making produces attractions for theme parks such as LEGOLAND, Madame Tussauds, and the London Eye. The team uses a robot to mechanize its production and speed up delivery times. 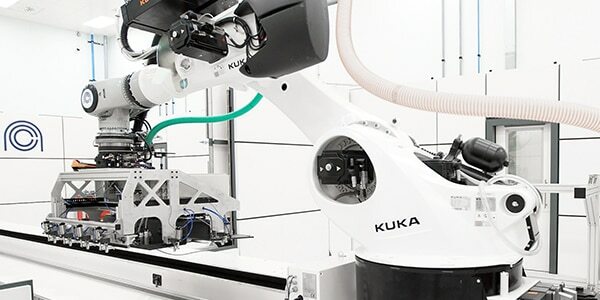 Traditionally, manufacturers considered robotic arms to be a significant investment. But startup company Automata is changing that perception with the launch of Eva—a lightweight, affordable, easy-to-use robotic arm. 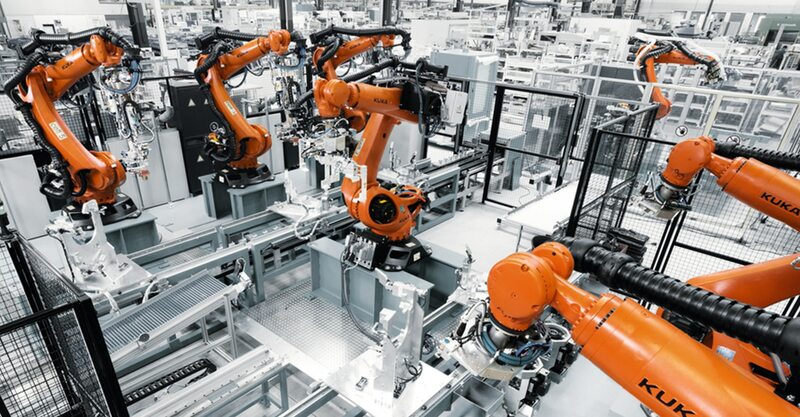 Autodesk and KUKA Robotics discuss how new digital technologies are changing manufacturing, and what these new technologies can do for smaller companies. 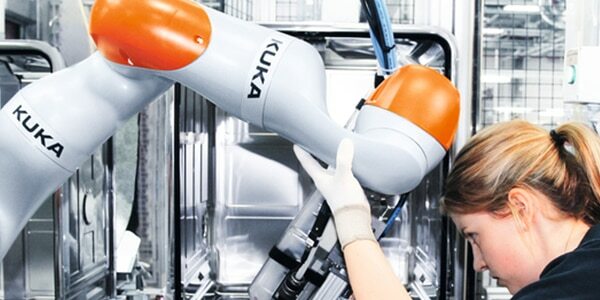 Improving the safety of robotic systems will lead to greater human-robot collaboration. 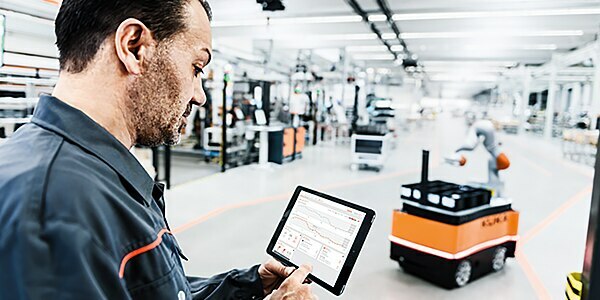 Learn how robotics, customization, and technologies that connect data to the factory floor is changing manufacturing. In the ever-evolving world of hardware manufacturing, how are businesses capitalizing on the latest manufacturing industry trends? Symplexity is a collaborative project to develop new human-robot solutions for industrial manufacturing. The LASIMM project is developing large, flexible, all-in-one machines on a scalable framework for hybrid (additive and subtractive) manufacturing. HyProCell uses laser-based additive and subtractive manufacturing, enabling machine interaction to optimize workflow and data handling. PowerMill software provides powerful, flexible, easy-to-use tools for offline programming of robots. Get tools to help you optimize robotic paths and simulate virtual mock-ups of manufacturing cells and systems. Redshift is an Autodesk publication dedicated to telling stories about the future of making things in the architecture, infrastructure, construction, and manufacturing industries. Manufacturing Lounge is an Autodesk blog focusing on techniques and activities designed to inspire ideas in subtractive, additive, robotics, and inspection manufacturing. Get access to a repository of resources—including articles, infographics, videos, and reports—to help inspire new ideas, deepen your skillset, and gain insight into industry trends.